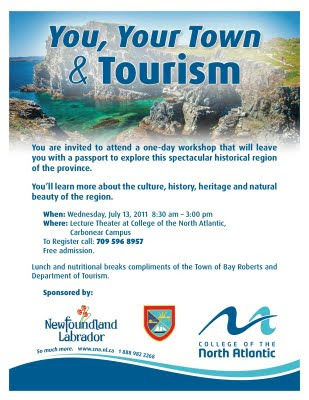 You are invited to attend a one-day workshop that will leave you with a passport to explore this spectacular historical region of the province. You’ll learn more about the culture, history, heritage and natural beauty of the region. Lunch and nutritional breaks compliments of the Town of Bay Roberts and Department of Tourism.